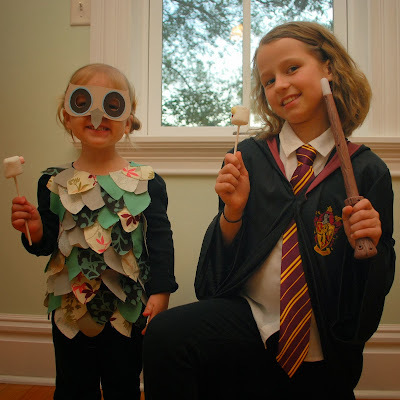 So… last post I mentioned my bright idea to have the girls pick Halloween costumes based on their favorite books. 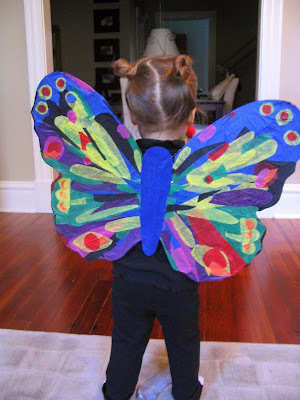 I thought it seemed like a good idea because it felt a little more creative than just your average witch or pumpkin or fuzzy animal (we’ve been all three of those as well). And it was (and is) a good idea – I’ve just stayed more flexible when they’ve decided to be a Lego or a hot air balloon (???) 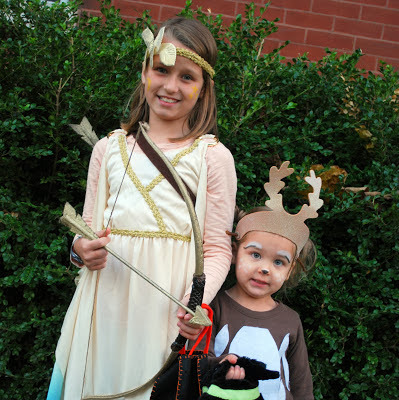 or the sidekick deer to Artemis. When they have gone along with the literary theme, it’s been a lot of fun. The Very Hungry Caterpillar – we transformed regular butterfly wings with tissue paper to match the book’s illustration. 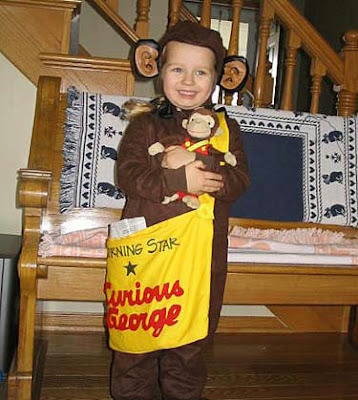 Curious George – we bought a ready made monkey costume and I made George’s newspaper bag to match. Hermione, and a slightly more colorful Hedwig owl. I suppose even Artemis could be considered book inspired – we have several volumes of Greek myths on the shelves that are dogeared. 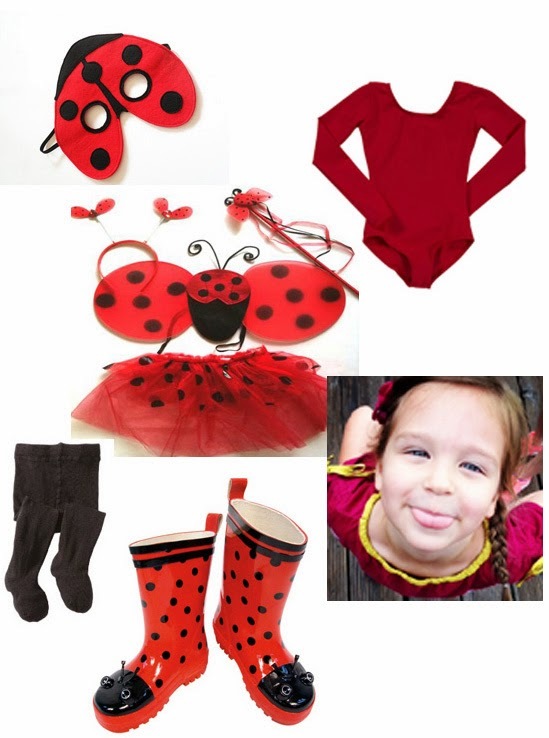 So I was pretty excited when F announced that she wanted to be Ladybug Girl this year – another book inspired costume. She’s been wearing the components for awhile now, but we had to get a few of the basics to round it out. We’re still in a bit of a battle over the black tights because Ladybug Girl does not wear tights, but trick-or-treaters do – unless this warm weather keeps up, I guess. 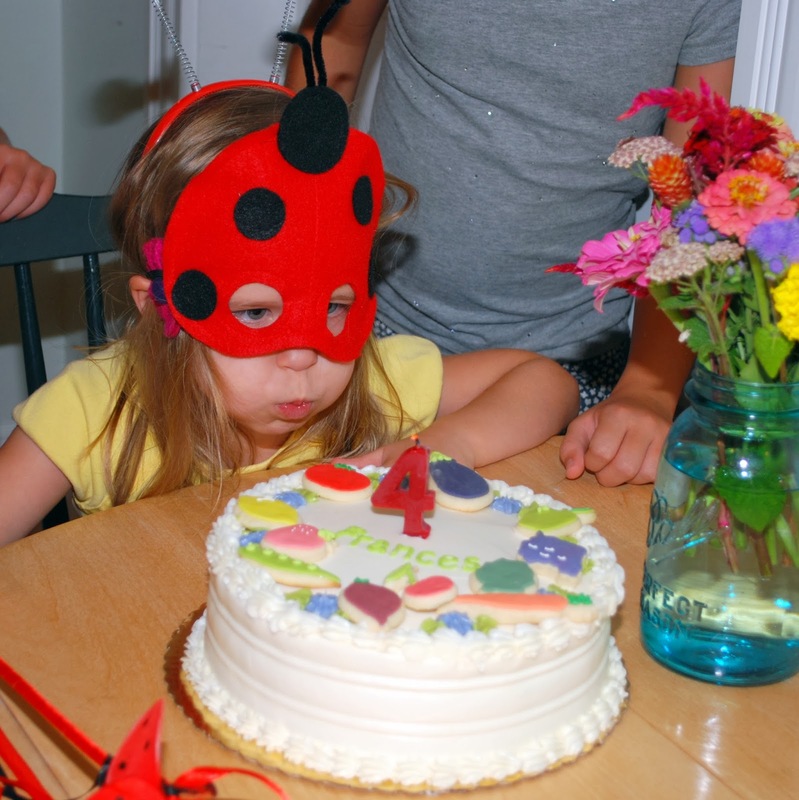 E, on the other hand, is not going as a book character. One year she wanted to go as Jane Penderwick, but after I finally convinced her that her favorite book characters look a lot like she does on an ordinary day, she gave up that plan. 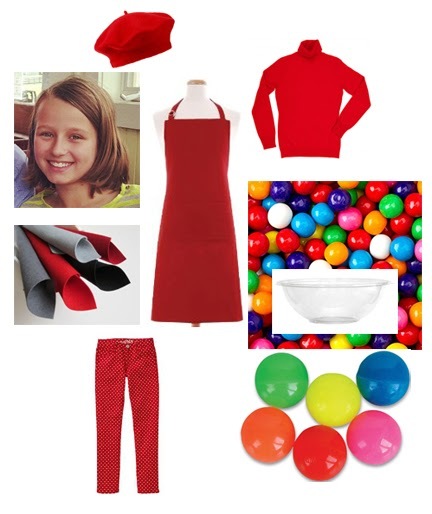 This year she’s sticking to the birthday theme, and going as a gum ball machine. We have a bit more work to do on this one. We’re going to reuse a red apron, layer it over a red turtleneck and some red and white polka dot jeans she already has. 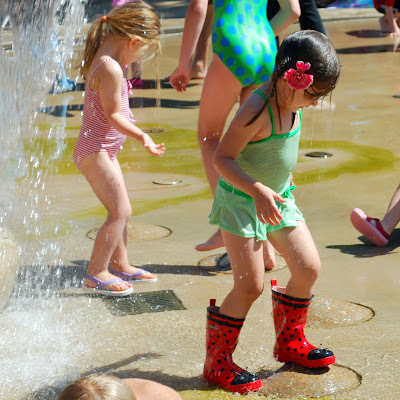 We’re on the hunt for two clear plastic bowls, a small one and a large one, to nest either giant (real) gumballs or maybe multi-colored ping pong or bouncy balls between. Then we’ll affix it to the apron, and add felt details for the gumball slot and coin receptor. And of course, a red beret to cap the whole thing off. We’re 50/50 on the literary themes this year, but we’re 100% on the red theme. 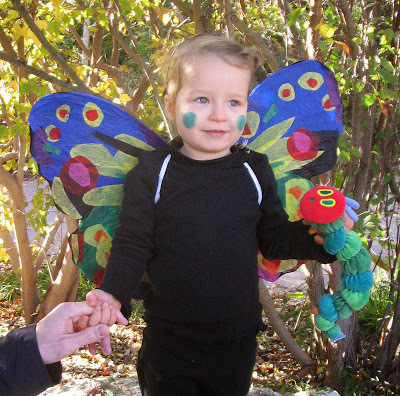 I love this part of October – planning, scheming and putting it all together.